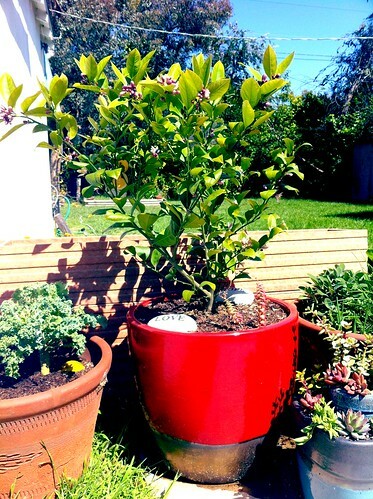 Life: Lemon Tree Potted w/ Love, a photo by Sanctuary-Studio on Flickr. A couple weeks ago we found a suitable ceramic pot (that didn't cost an arm and a leg) to house the Meyer Lemon tree Farilla gifted me for Xmas! In more exciting news...WE HAVE BABY LEMONS!